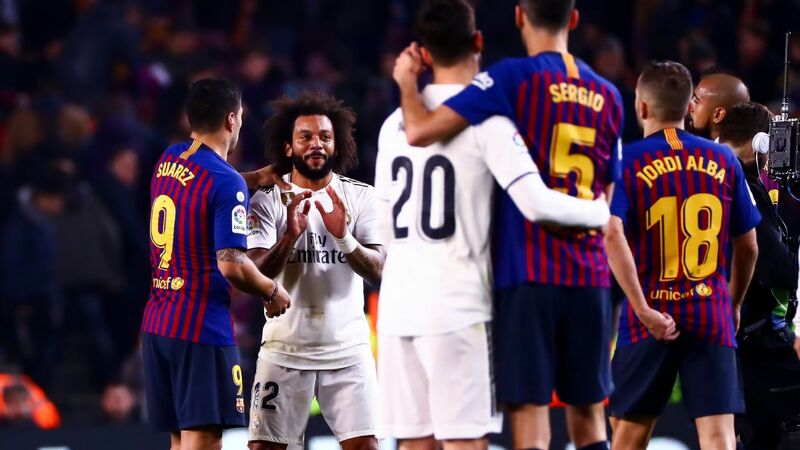 MADRID -- Real Madrid slipped to a 3-0 defeat in tonight's Copa del Rey semi-final second leg against Barcelona at the Bernabeu. That result means the Catalans go through 4-1 on aggregate to May 25th's final against either Real Betis or Valencia. 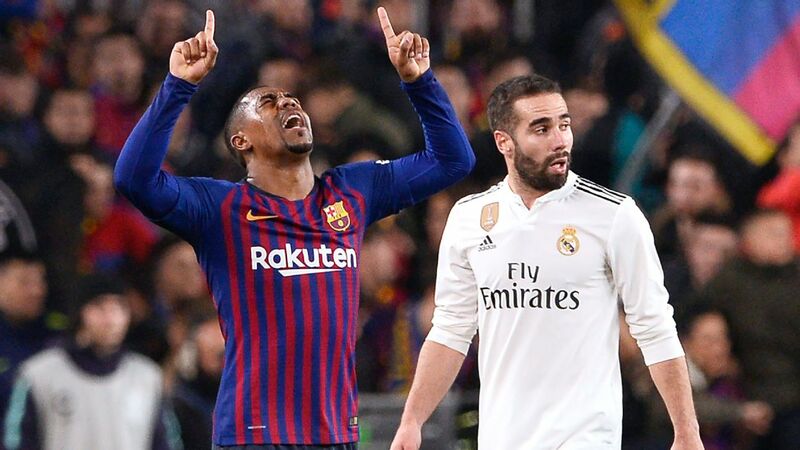 Difficult to take too many positives from such an emphatic home Clasico scoreline, but Madrid had much the better of the first half, and should really have been ahead before Luis Suarez opened the scoring. 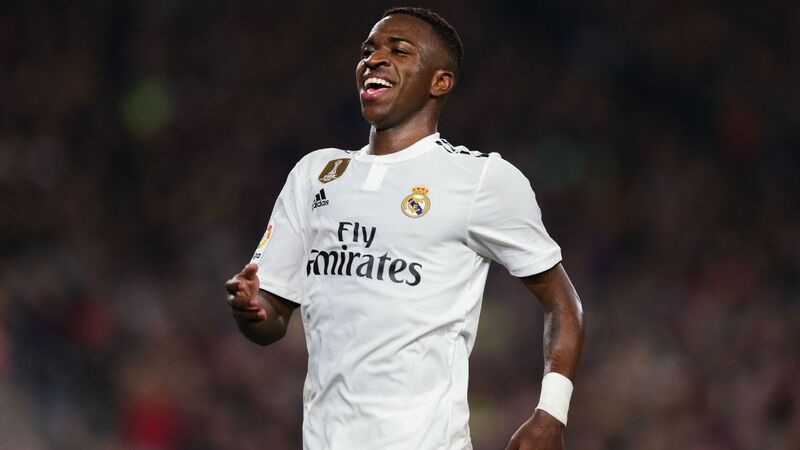 Youngsters Vinicius Junior and Sergio Reguilon were again among the team's better performers. 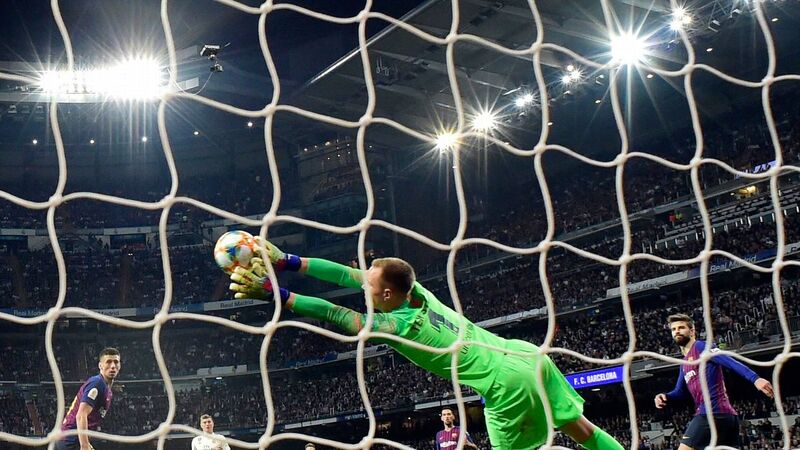 All Madrid's eggs are now in the Champions League basket -- which tends to suit their chances of winning the competition they treasure the most. All Madrid's good work in the first 50 minutes was undone as the defence opened up easily for Suarez's opener. The team then folded quite dramatically with Barca able to finish the game quickly on the counter. That 18-year-old Vinicius was their most likely source of a goal all night does not reflect well on his more senior attacking colleagues. 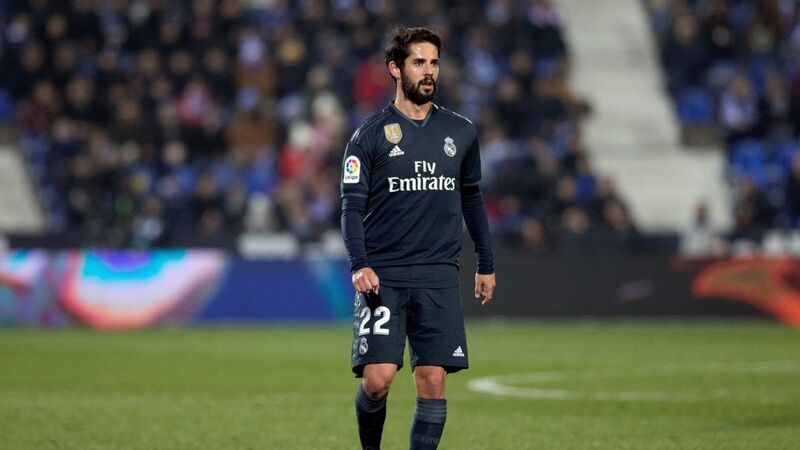 6 -- Santiago Solari's preferred XI saw Gareth Bale and Marcelo on the bench and Isco in the stands, and earned some vindication in that youngsters Reguilon and Vinicius were his team's best performers. But the solid structure which the Argentine is so concerned with maintaining came tumbling down once poked at. 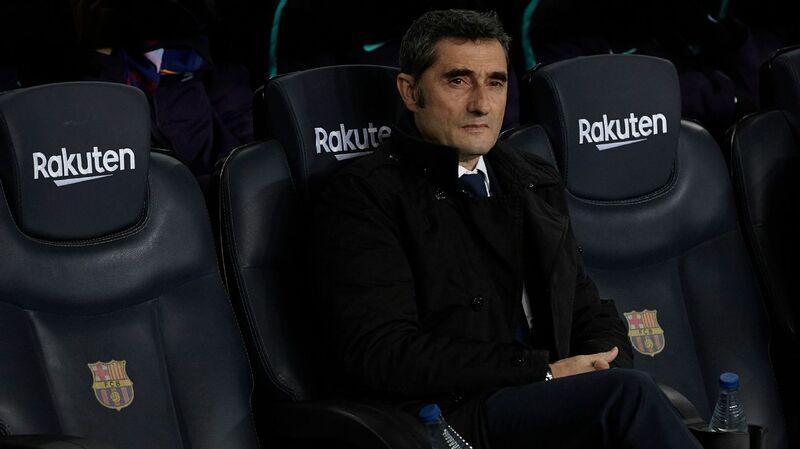 Nothing new there though as Barca have now scored at least three times on each of their last five visits to the Bernabeu in La Liga or the Copa. GK Keylor Navas, 7 -- Nothing to do in the first half as Barca did not manage a shot on target, and could do little with any of the goals. DF Dani Carvajal, 5 -- Was bested in the battle with Barca's pacy Ousmane Dembele, who sprinted clear of the Madrid right-back to set up Suarez's opening goal. DF Raphael Varane, 7 -- Again Madrid's most composed defender, covering smoothly whenever gaps opened up at the back. 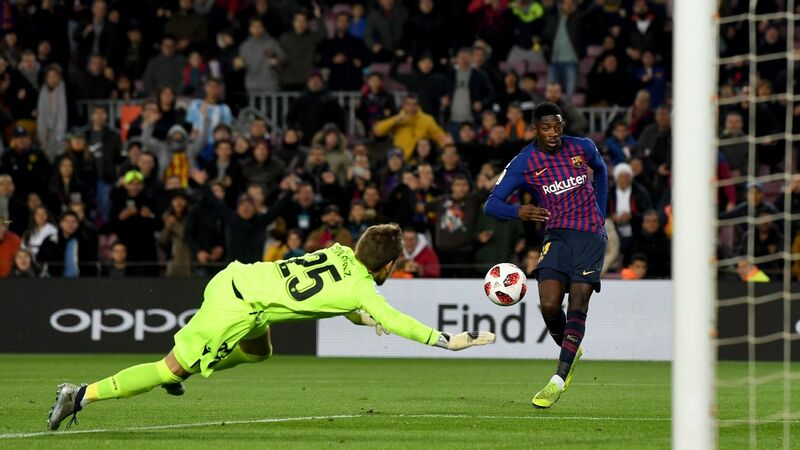 That was until he stretched to stop the ball from reaching Suarez at the back post and knocked Dembele's cross into his own net to make it 2-0 on the night. DF Sergio Ramos, 6 -- Seemed to be struggling with right knee problem In the first half after getting hit by Casemiro, and was not quite close enough as Suarez opened the scoring. 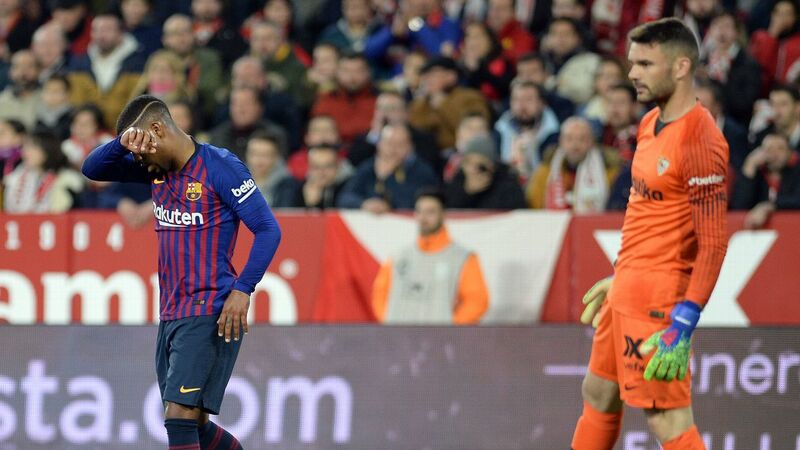 Soon afterwards was fortunate to avoid giving away a penalty for a mistimed challenge on Ivan Rakitic. DF Sergio Reguilon, 7 -- A really impressive first Clasico start from the 22-year-old, who covered well at the back post and also showed ambition raiding forward -- almost getting a goal with diving header at 0-1. Did however let Dembele in behind him in the build-up to the night's really decisive second goal. MF Luka Modric, 6 -- Helped Madrid get the better of the midfield exchanges in the first half, almost but not quite producing a fine through ball to send Lucas Vazquez clear. Faded out of things once his team went behind. MF Casemiro, 6 -- Typically combative showing by the holding midfielder, who smashed into players on both sides while winning balls back. Was already hampered by a stomach injury when a vain attempt to cover a Suarez break saw him concede penalty for 3-0. 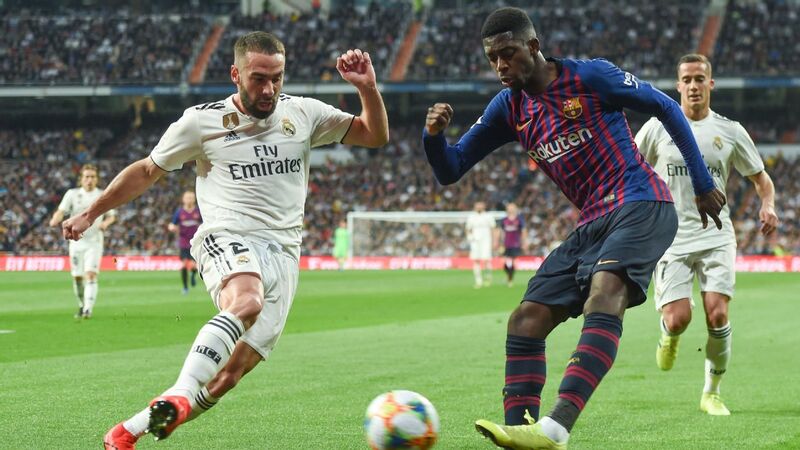 Dani Carvajal was given a rough ride by Ousmane Dembele who exposed him repeatedly up and down the right side. MF Toni Kroos, 7 -- Upped his game from recent performances, especially his intensity off the ball, including one crude tackle to stop a Lionel Messi break. Set-piece deliver was excellent as usual, providing chances for Karim Benzema and Casemiro which could have changed the game's trajectory. FW Lucas Vazquez, 5 -- Usually Madrid wingers need to produce more in attack, but the Solari favourite did his most useful work covering Jordi Alba runs forward down the left. Tested the referee's patience with tactical fouls even after picking up a deserved yellow for persistent offences. 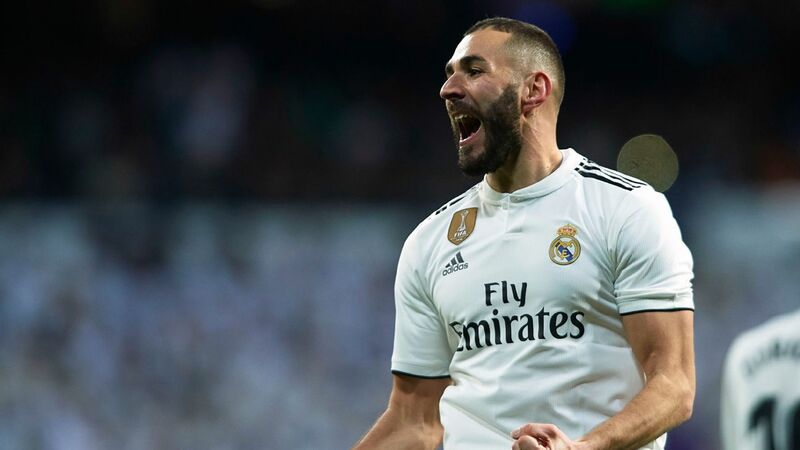 FW Karim Benzema, 7 -- Fine performance from Madrid's No. 9, especially when dropping deep to link play and find his wingers in the first half. Will however rue a header that flew just over the bar with the score at 0-0 soon after the break. 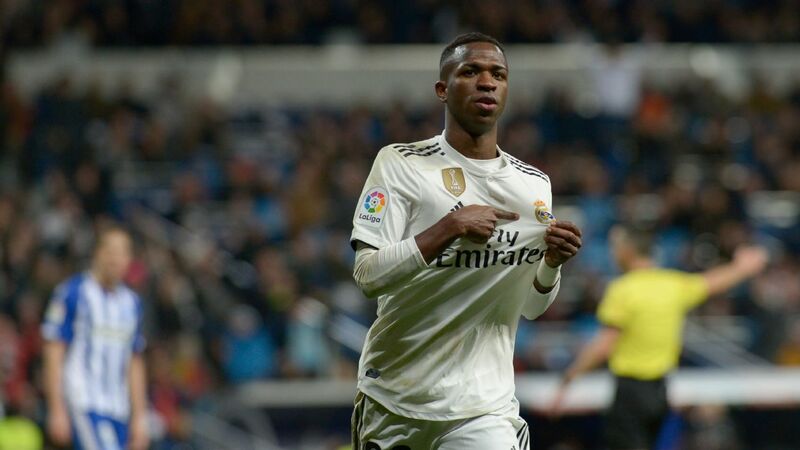 FW Vinicius Junior, 8 -- Madrid's most dangerous attacker threatened to run riot during the first half, but was let down by his finishing on at least three occasions. Just three of his first 56 shots for Madrid's first team have found the target. But at 18 he has plenty of time to add a finishing touch. 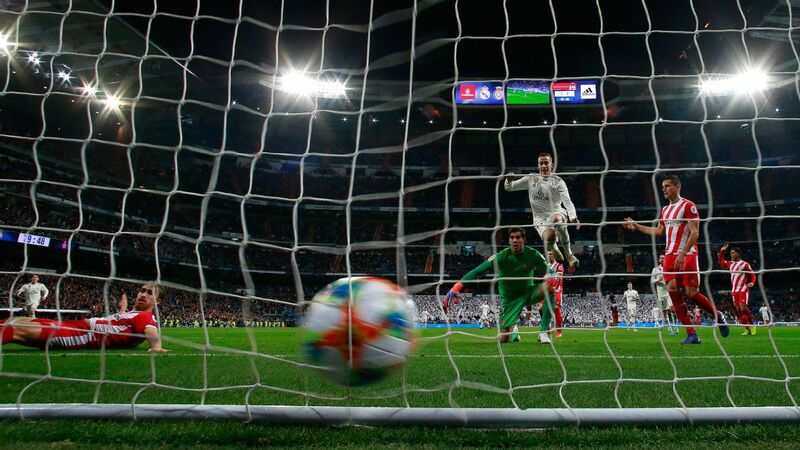 FW Gareth Bale, 6 -- Given 25 minutes to save the day, just before the Varane own goal killed the tie stone dead. 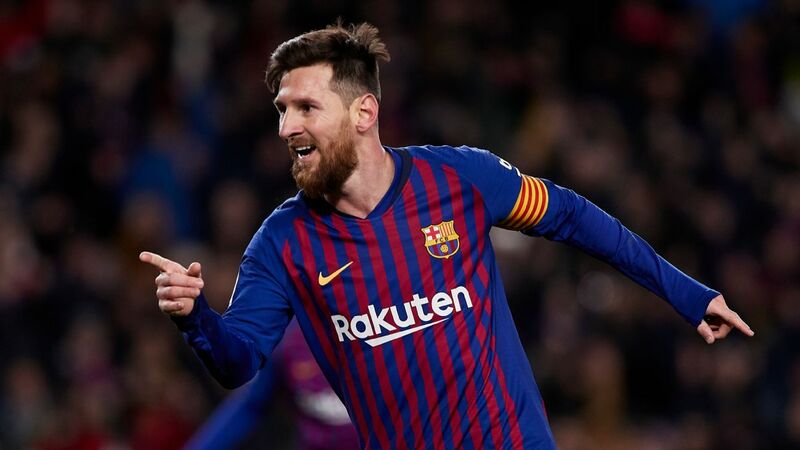 One chance to demonstrate he should start Saturday's La Liga Clasico was blown with an outside of the foot curler which flew well wide and drew derision from a deflated Bernabeu. MF Federico Valverde, N/R -- The young Uruguayan's rising position in Solari's pecking order was shown here as he replaced Casemiro when the Brazilian left the field with scars from being grated by Suarez's cleats. FW Marco Asensio, N/R -- Replaced an exhausted Vinicius late on, with the tie already long decided.